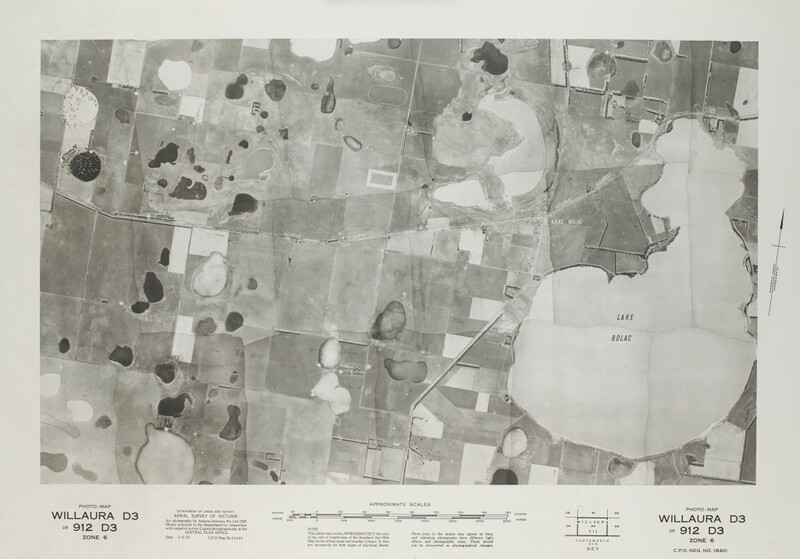 These photographs are part of the State Aerial Survey that was produced by the Department of Crown Lands & Survey between 1945-1965. They cover mostly regional Victoria from Albury to Willaura. The majority are scaled at 1:15,840. They are mosaics, which means multiple photographs were joined together to form one large overall image. To locate them using the online catalogue, choose Maps from the drop-down menu to the right of the search box and search for the locality name and the phrase “820 BR [1945-1962]”. For example, Murchison AND “820 BR [1945-1962]” gives this result. To identify a precise area and its name, consult the online VicMap index. 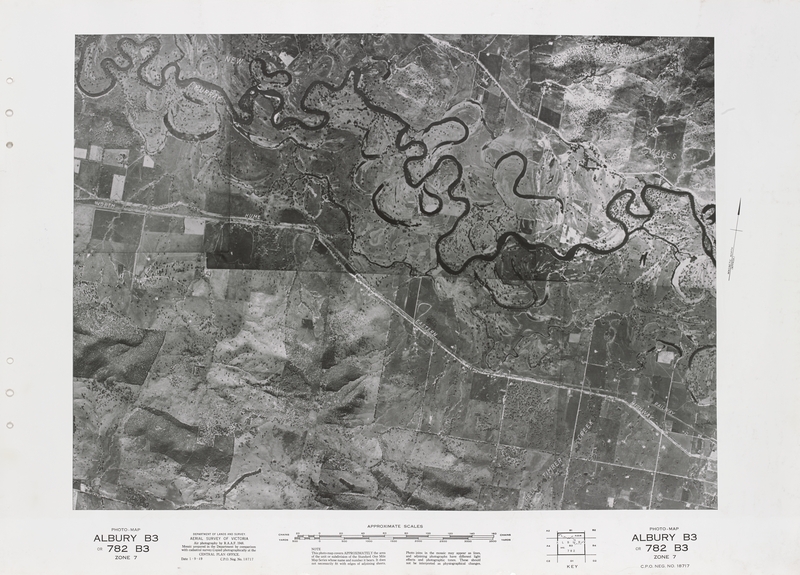 The Library has digitised another series of aerial photographs published by the Department of Crown Lands and Survey and other government agencies from the late 1960s through to the early 1980s. They cover most of metropolitan Melbourne and regional Victoria. Most are scaled at 1:25,000. To locate these, search for the locality name and the phrase “Victoria photomap”. For example, the search “Swan Hill” AND “Victoria photomap” gives this result. There are around 80 photographs from the series that are in colour. Find out more about the Library’s map collection. Sarah is a librarian in the Victorian and Australian Published Collections team, Collection Development & Discovery Division. Where these from the newly aquited monash geography donation? 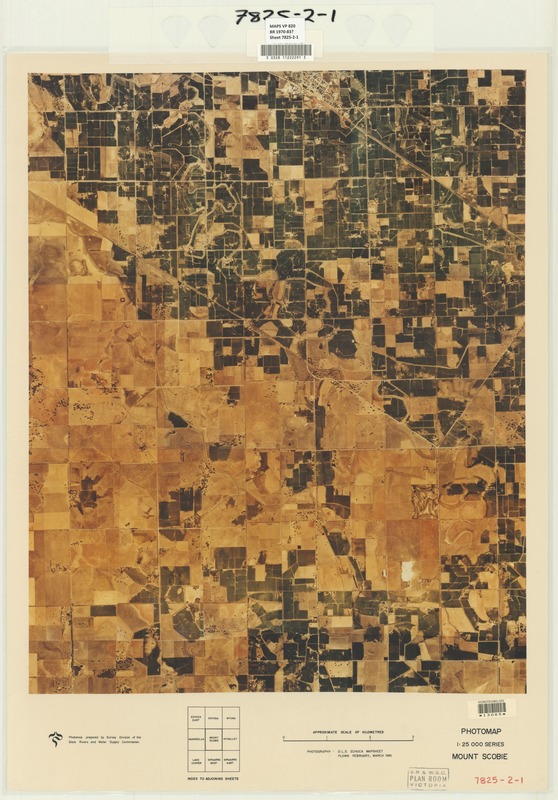 No these are aerial photographs that have been in our collection for a long time. The Monash donation is still in process. Thanks for your comment. Glad you found the aerial photographs of interest. Maps have always been particularly difficult to deal with, especially in small libraries where they are often not catalogued at all. I think it is absolutely wonderful to see these maps digitized for future generations. What a wonderful project. Thanks for taking the time to comment on the blog. The size and specialised nature of maps makes them a challenging format to catalogue. It’s always satisfying getting collections online and out into the public domain. Hi Sarah and SLV. This is a fantastic resource and will definately be of great use and interest to me and many others I know and work with. Thankyou for this and dare I say it? ……more please?! Thanks very much for your comment. Glad you and your colleagues will find the aerial photographs useful. Hopefully we will get some more exciting maps digitisation projects up and running in the near future.